My broken wrist is on the mend, so I've slowly been getting back to the boat some more. 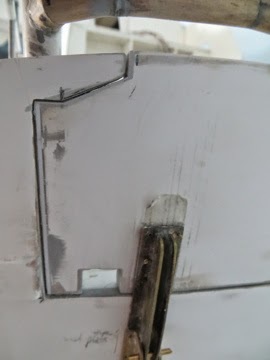 I was looking at some photos I have of the boat I'm modelling and noticed something amiss with the transom door on my build. I'll try to describe it but hopefully the pics will help. Essentially, I'd got the sides wrong as instead of the constant slope I'd made, the ends are horizontal before sloping up. 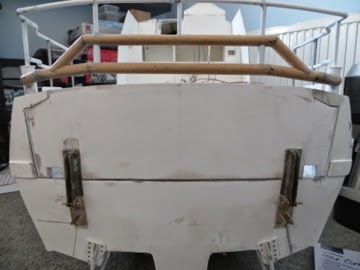 I ummed and erred about correcting this as it meant also reshaping the transom as well as the transom door. However, I eventually decided it would bug me if I did nothing. ... and here it is post mod. It's a subtle change but worth doing in my book.